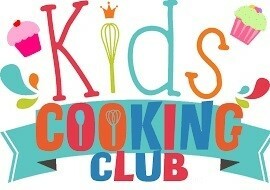 Our Kids Cooking Club, an after school series, is designed for ages 9-11 to learn food prep and cooking skills in a fun format. Four after school classes are spread out over a two month period and each class runs about two hours each. Our communal teaching style experience provides sharing, team building, and social skills. Each concentrated class focuses on a specific seasonal theme of food made from scratch to get kids learning and interested in trying healthy foods while gaining knowledge about where their food originates. Cooking can be applied to future life skills, expand kids horizons, and may help hem try foods they normally wouldn’t eat. Each series is limited to a maximum of 10 students. Monday October 16, pasta from scratch–hand rolled shapes, caviatelli, bow tie, and more. Monday October 30: Dinner in disguise–family meal made into fun shapes (with Halloween theme). Monday November 13: Breakfast and family brunch menu. Monday November 27: Lunch and snack options.